A fresh and original approach to team building. Creative ideas to motivate and inspire staff with a lasting effect. Team building goes hand in hand with success. Our dance based workshops deliver a great deal of fun, but also provide an integrated programme designed to engender competition, collaboration and challenge. We deliver team building dance programmes that are structured workshops based on the individual needs of our clients. 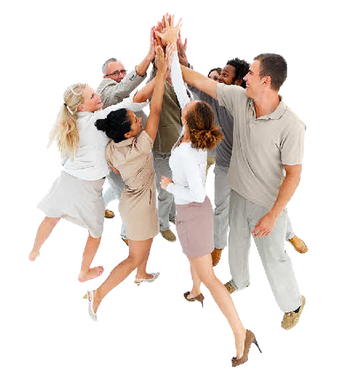 We help groups develop the range of skills needed to improve their ability to work as team. Our programmes leave a positive effect on all who participate. This is a basic programme where clients are free to choose a set of dance classes of their choice. This programme is purely fun based and is designed to allow clients to de-stress and enjoy the company of their peers outside the demands of their normal schedule. Clients can 3 dance workshops choose from the range below. In contrast to DANCE DAY, DANCE CHALLENGE is specifically develops certain skills within a group. This programme utilises the personal development aspects of movement and dance to improve the following. This programme is by far more challenging and its outcomes are far reaching.